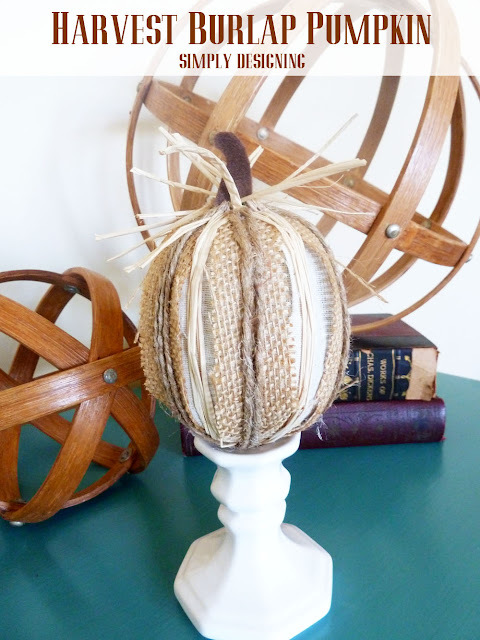 I’ve been wanting to make some cute Burlap Pumpkins for a long time and last year when I saw these cute Harvest Pumpkins from Pottery Barn, I knew they would be the inspiration for my next pumpkin project! It just took me a year to actually get them done….oops! You will simply cut your muslin and burlap into strips and hot glue them on your pumpkin. Cover the entire pumpkin with your muslin and then go back and add your burlap strips. Next add raffia, attaching using hot glue, and then your twine. Cut a double-layer of felt for your stem and hot glue it together leaving it open along the bottom. Place your pumpkin stem into your felt pumpkin stem and hot glue in place. 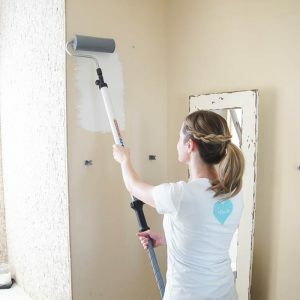 Easy, quick and lovely! 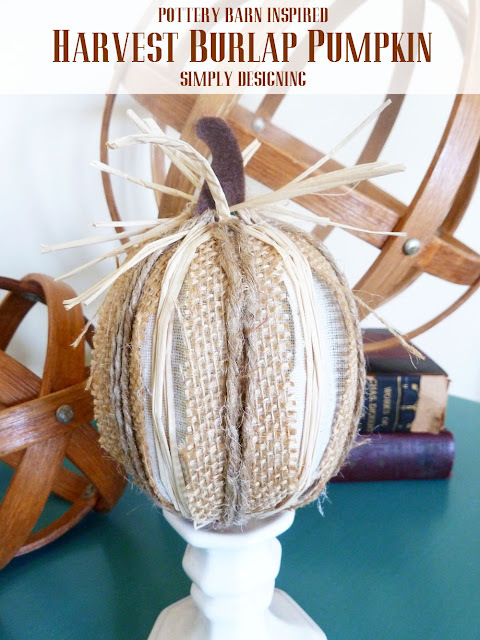 I just love how my Harvest Burlap Pumpkin turned out! It’s perfect for fall or Thanksgiving decor and would make a great centerpiece on the Tday table as well! Do you decorate with pumpkins this time of year?